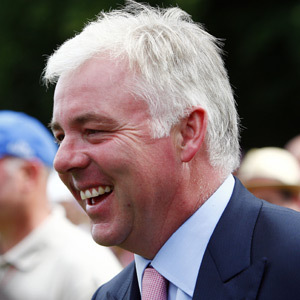 Jeremy Noseda began training in Newmarket in 1998 but had been destined to achieve great things for much longer than that – just ask John Dunlop, John Gosden and Sheikh Mohammed. Noseda learned to ride at the age of 13, worked in racing stables during the school holidays and, determined to forge a career in racing, he turned down a place at Cambridge University to further his racing education. He became assistant to Dunlop, one of the greats of the sport, and then worked for John Gosden, another man with a bunch of Classic triumphs on his CV. His big break came when Sheikh Mohammed hand-picked him to join his mighty Godolphin operation where Noseda played a major role in training Derby and Arc winner Lammtarra and Oaks winners Balanchine and Moonshell. After a short stint training in California, he moved to Newmarket and claimed his first Group 1 success almost immediately afterwards. He went close to his first Classic with a second place in the 1999 1000 Guineas and 2000 Oaks. In 2004, however, he struck gold thanks to Wilko’s victory at the Breeders’ Cup, then went one better in 2006 with a Classic double, Araafa in the Irish 2000 Guineas and Sixties Icon in the Ladbrokes St Leger. Simply Perfect won two Group 1s for him, notably the Falmouth Stakes at Newmarket, while he saddled two sprinters to hit Group 1 gold – Soldier’s Tale took the 2007 Diamond Jubilee Stakes at Royal Ascot, while Fleeting Spirit won the Darley July Cup in 2009. He also took the Irish St Leger with Sans Frontieres in 2010. He’s an avid Tottenham Hotspur fan.